One of Marvel’s most enigmatic, complex, and badass characters comes home in VENOM, which will make its debut on Digital December 11, and on 4K Ultra HD Combo Pack, Blu-ray Combo Pack, and DVD on December 18! This must-own comic book blockbuster, which has grossed more than $822 million in theaters worldwide to date, is directed by Ruben Fleischer (Zombieland) and features an all-star cast including Tom Hardy (The Dark Knight Rises, Mad Max: Fury Road), Michelle Williams (The Greatest Showman), Riz Ahmed (Rogue One: A Star Wars Story, TV’s “The Night Of”), Jenny Slate (Zootopia) and Woody Harrelson (Zombieland, The Hunger Games franchise). 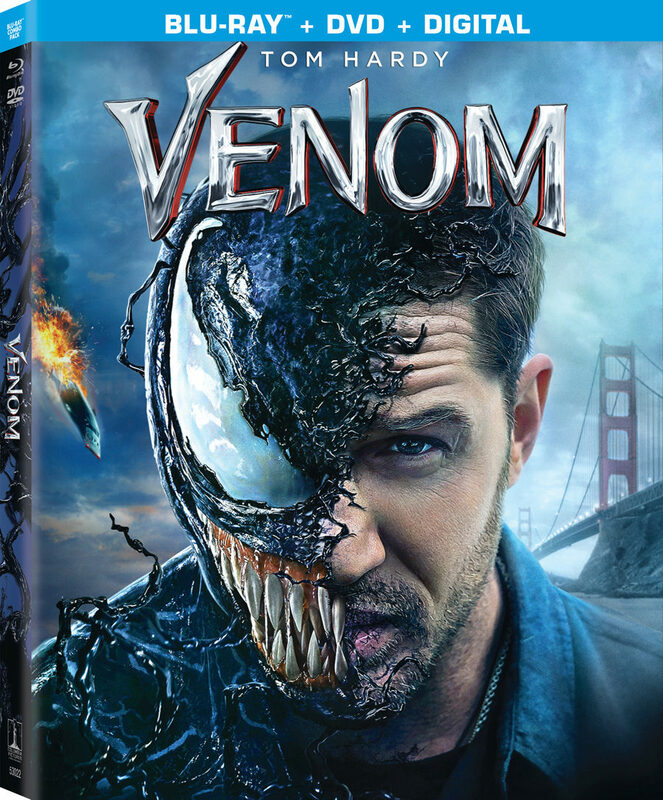 The perfect holiday gift, VENOM arrives filled with engaging bonus materials that will give fans even more of the action that they loved in theaters with over an hour of new content. 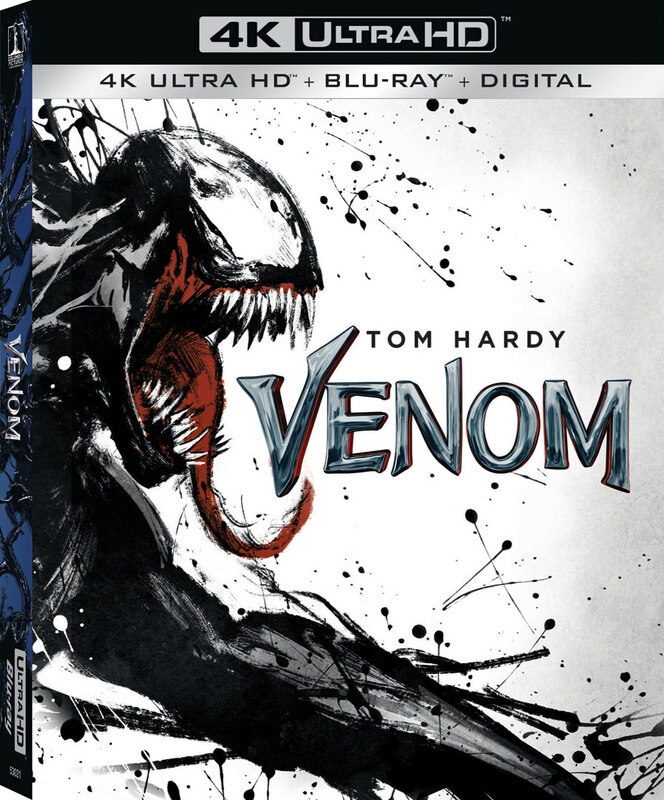 The special features include an exciting Venom Mode, where fans will be able to engage with informative pop-ups throughout the film to reveal hidden references to the comics, deleted and extended scenes, a mini documentary called From Symbiote to Screen that covers the history of Venom in comics and his journey to the big screen. Also a behind-the-scenes peek at some of the stunts, a look at Ruben Fleischer’s journey behind the lens, a featurette about what it took to create Venom on screen called Designing Venom. Symbiote Secretsreveals Easter Eggs and hidden references in the film Other bonus materiales include multiple pre-visualizaton versions of some of your favorite scenes, Eminem’s incredible video for his hit song “Venom,” “Sunflower” from Post Malone and Swae-Lee (from Spider-Man: Into the Spider-Verse), and an early sneak peek at Spider-Man: Into the Spider-Verse.